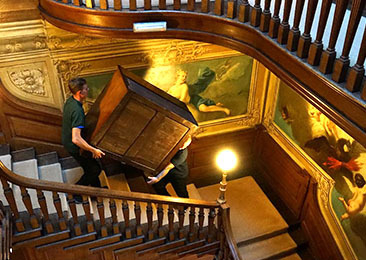 Since 1991, Alban Shipping was has been serving some of the most famous auction houses in the world, offering our expertise and know-how in the packing and transportation of antiques and fine art. For 30 years, we’ve been working closely with auction houses and galleries to pack and ship antiques and paintings all over the world. 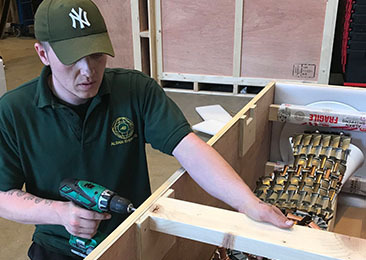 We understand the industry and the special responsibility we have to ensure the security of valuable items in transit – which is why some of the most famous auction houses in the world trust Alban Shipping with the care and security of items sold at auction. Soft wrapping, cardboard and wooden crates, we offer "in house" bespoke packaging solutions. 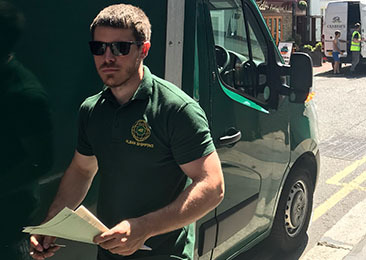 Whatever the items, wherever the destination, you can be sure all items are packed securely to arrive at their final destination in perfect condition. Alban Shipping have the resources and skills to offer a Country House sale services, offering pre and after sale storage facilities. From 50 to 1000 lots, contact us to discuss your specific requirements. Our experienced staff can help if you have works of art that need to be removed from walls and rehung. 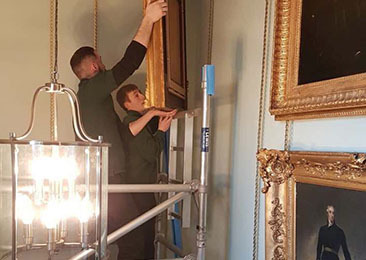 Recent work includes the removal of 10 large ornate framed works of art from a stately home.